Hollis JohnsonChipotle has spent millions of dollars on measures to improve food safety. 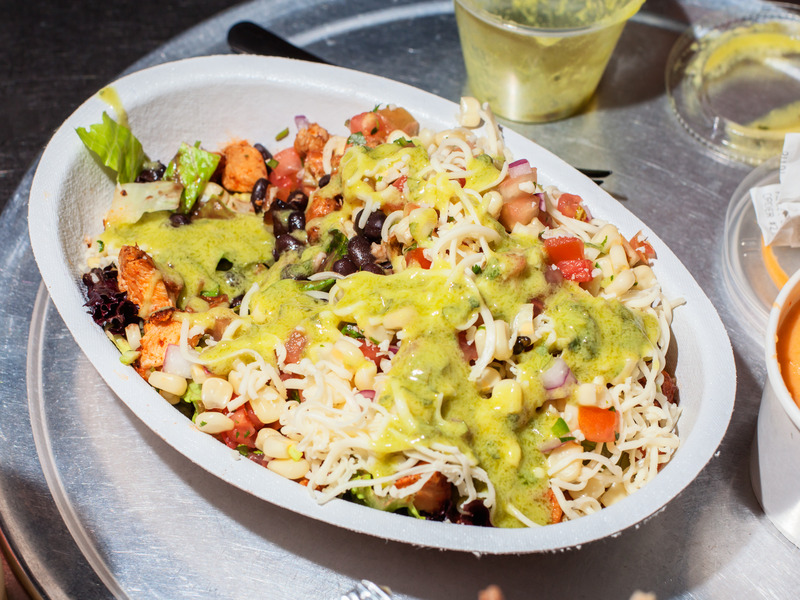 Health officials have inspected three Chipotle restaurants in Powell, Ohio, after receiving nearly 700 inquiries related to a suspected foodborne-illness outbreak. Inspectors said they found boxes of raw chicken “leaning” on other packaged foods, creating a contamination risk, in two restaurants. In two of the restaurants, inspectors found boxes of raw chicken “leaning” on other packaged foods, according to health records. The Delaware General Health District on Thursday found “boxes of raw chicken partially leaning onto boxes of packaged foods” at the Chipotle restaurant at 9733 Sawmill Parkway that’s at the center of a suspected illness outbreak, according to health records. The proximity of the raw chicken to other foods presented a risk of contamination, the report said. DGHD said late Thursday that it had received 703 calls and emails concerning potential illnesses stemming from the Chipotle restaurant on Sawmill Parkway. Officials have tested customers’ stool samples but have not identified a source of the suspected illness outbreak and are conducting further testing. The location temporarily shut down on Monday for cleaning and reopened on Tuesday. No customers who ate at the restaurant since Tuesday have reported becoming ill.
DGHD has also received three reports of possible illnesses stemming from two other Chipotle locations – the restaurant on Owenfield Drive and another at 1710 Columbus Pike – prompting inspections of both.